The OBU Easy of skyguard is our cost effective and reliable solution to declare the Hungarian E-Toll, with no monthly fee nor installation. After a „Plug and Play” installation in the cigarette lighter socket, the device is ready to use*. The gadget gives the possibility to set or change the number of axels**, by which you will pay always the right E-toll fees, with no need to visit the HU-GO website and interrupt your trip. The device provides continuous information to the driver about the status of the power supply, the status of the GPS connection and GPRS communication; in case of any coverage issue, the driver can take immediately the necessary steps to avoid the penalty. 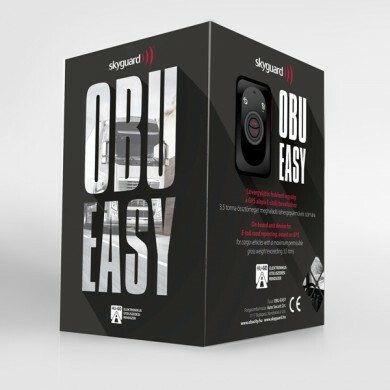 The one-time price of the package includes the OBU device, the communication fees of 24 month and there is no additional monthly cost.